Owning your first set of wheels is an exciting and liberating experience and is something most of us will never forget. However, buying a car can be a confusing and time consuming process and is definitely not something to be taken lightly. Don’t jump in to the first car you see, do your research and get the facts. Here are 5 simple tips to get you on the right track to owning a great first car. The type of driving license you have will determine the type of car you can purchase. Do you have a manual or automatic driver’s license? Next, what will you be using your vehicle for and where will you be driving it? For example, if you work for a delivery business you may need a larger vehicle. Or, perhaps you are just going to be zipping around the city centre, in which case a smaller car will be more suitable for squeezing into those tight parking spaces. The type of car you purchase should also be reliant on your budget. Your budget should include your living costs, as well as costs for your car, including registration, servicing, tyres, and petrol. Once you’ve figured out the type of vehicle you want, it’s time to decide whether to buy it new or second-hand. Both options have their pros and their cons. For example, a brand new car is going to be more reliable, but is generally more expensive, whereas a second-hand vehicle is likely to be cheaper, but less reliable, depending on the age of the car. Having a realistic budget will often help you decide whether you should buy a flashy new car, or a pre-loved used car. Once you’ve done your research into a suitable vehicle, it is time to begin shopping around. If you have decided to purchase a used vehicle, there are some things you need to look out for and things you should avoid. A private sale is buying directly from the previous owner of the car. Things you need to ensure the seller has are current registration papers, a recent safety check report, proof of ownership, and a Roadworthy Certificate that is no more than 30 days old. You should also do an ownership check, to ensure the owner has paid it off. Buying your car from a licensed dealer is likely to be more expensive than from a private seller, but they will give you a warranty on newer cars. Buying from a dealer will also give you more financing options. 4. Try before you buy and have a professional do the same! This is the golden rule. Whether you’re buying a car new or second-hand, from a dealer or private seller, ALWAYS try before you buy. Dealers or sellers may try to rush your decision by telling you they’ve had other offers, often they are just trying to make a faster sale. Don’t rush into anything, if you want to find your perfect first vehicle, you need to give yourself some time. Once you’ve taken a test drive and are confident there are no issues with the car, have it inspected by a mechanic. A professional inspection will ensure there are no mechanical problems and save you money in the long run. It’s a good idea to get your head around the basics. Consider the cost of registration and insurance before you purchase that first car. We also recommend signing up to roadside assistance in your state. These measures will all cost money to begin with, but are well and truly worth it and will save you money and time if something goes wrong. Need some more info on buying your first car? 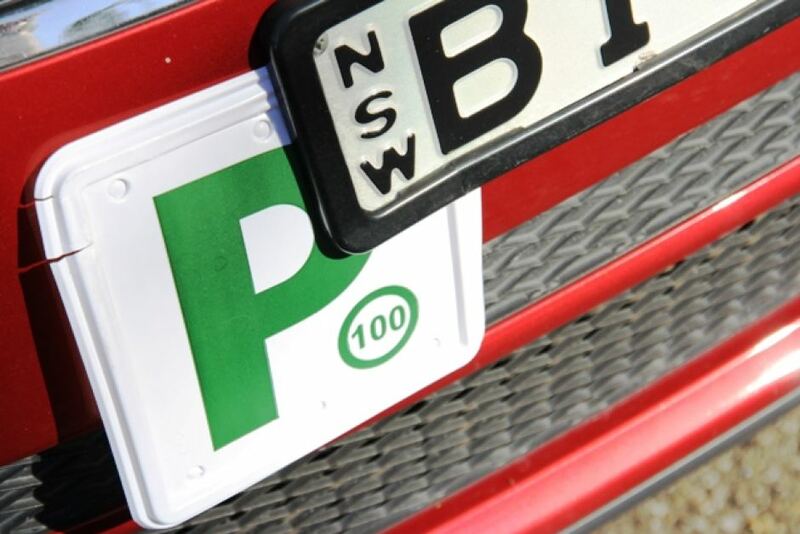 Take a look at The p-platers guide to buying your first car in Australia.